The Lexus IS F is a high performance V8 that delivers comfort and refinement on city streets - but can also take on racing circuits! Not only is the engineering superb, the interior design also exceeds all expectations. The cabin is designed with dark silver carbon fibre finishes, aluminium pedals and sculpted bucket front seats. It boasts 8-way powered sports seating and the memory function allows you to recall your preferred seating position. Exterior mirror and steering column positions can also be adjusted at the touch of a button. Those who like a little luxury during our cold Hobart winters will definitely appreciate the heated front seats! Quadruple exhaust pipes that make the IS F sounds unlike any other vehicle on the streets! The Lexus IS F is a perfect buy for those who want the privilege of owning a sports car that can be used on city roads. This car packs a solid punch! The very first all-Australian car was a Holden that went on sale in 1948. Before World War II, Holden assembled cars for General Motors and Chrysler. But after the war was over, the Australian government considered it vital to build home industries to support the soldiers coming home (they would need good jobs to support themselves and their families) and to strengthen its economic and political status. Consequently, it chose to support Holden in manufacturing an all Australian-made motor car. The design of the first Holden was based on a General Motors prototype that was modified to suit the Australian environment, and in 1948 the first Australian made car, the Holden 48-215 (later referred to as the FX Holden), hit the streets of Melbourne. Although it was a pretty basic machine even for that era, the FX Holden was a well-loved car in Australia and long waiting lists stretched into 1949 and beyond. The FX Holden was big and robust - spacious enough to fit a large family - and heavy-duty as well, with it's steel frame designed to handle tough conditions. It also managed to deliver 48 kilometres for about 3 litres of petrol without sacrificing performance. Owning an Aussie car in the 1950's was a matter of great pride, resonating with the patriotic feelings of the time. To this day, Holden occupies a special place in the hearts of many Australians. Holden continues to manufacture motor vehicles in Australia as a subsidiary of General Motors, and still exports vehicles and engines to other countries. Among other models, it produces the popular Commodore that was first introduced to the market in 1978. The Holden Commodore is still one of the most loved cars in Australia and has been continually updated to meet the demands of modern consumers. The freshly made-over Audi Q5 has arrived! The change begins with a new engine for the range-topping petrol model; the 3.2 FSI has been replaced with a new twin-charged (supercharged and turbocharged) 3.0-litre V6. Audi claims the new Q5 3/0 TFSI delivers 200kW/400Nm, accelerates from zero to 100km/h in 5.9 seconds and returns combined cycle fuel consumption of 8.5l/100kms. The petrol versions also boast Audi’s outstanding eight-speed Tiptronic automatic transmission. 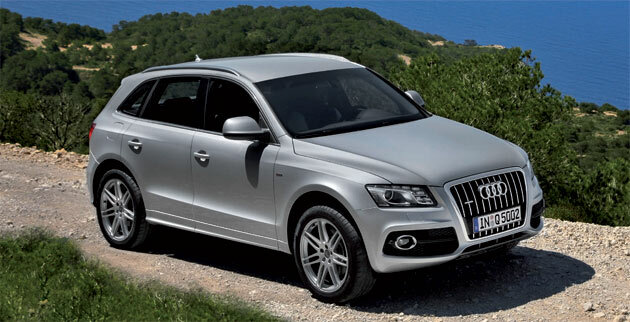 Audi Q5’s diesel star, the 3.0 TDI, delivers 180kW/580Nm, cutting the consumption by 15 percent to 6.4l/100kms. The 130kW/380Nm 2.0 TDI delivers fuel consumption of 6.1l/100kms. A switch to electromechanical power steering is an added feature. In short, we can say that the Audi Q5 delivers a little more of everything: value, efficiency, performance, safety, driver-assistance and the latest multimedia tech. It’s no wonder the Q5 has become Audi’s strongest performer in the mid-sized premium SUV class world-wide. The styling is smart and purposeful, the interior has been fashioned to the highest standards, there is plenty of space to move around and even the rear seats slide and re-configure for more practicality. The ever-rising cost of fuel has created a demand for ‘hybrid cars’ both in Australia and overseas. But what is a hybrid car and what advantages do they offer? Basically, a hybrid vehicle is one that uses two or more separate power sources, such as an electric propulsion system alongside a conventional petrol engine. The small petrol engine delivers better fuel economy while maintaining the same level of performance and when more power is required for acceleration, the electric propulsion system delivers the extra kick. Stop-start technology that conserves energy - the petrol engine turns itself off when the car is idle, and then automatically re-starts when the driver engages the accelerator. Hybrids are the greenest cars on the market because of their low carbon emission levels - far lower than standard petrol cars. The main pollutant from most cars is carbon dioxide, which is directly related to the amount of fuel used. An Australian study estimated that hybrid vehicles boast a 66% reduction in carbon dioxide emissions compared to the average Australian family car. Hybrids use as little as half the fuel of a conventional family car. While hybrids are more expensive upfront than their petrol equivalents, the reduced fuel costs will over time make-up for the extra purchase cost. What is sick car syndrome? Get to know our manager at Mornington!